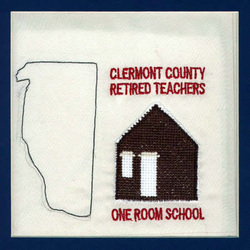 The Clermont County Retired Teachers Association was organized on April 22, 1970 in Batavia, Ohio, Clermont County's Seat. Former Superintendent of Milford Exempted Village Schools, James H. Fley, was elected its first president. By the time the Charter was presented to ORTA, on October 15, 1970, fifty-five members were enrolled.Over the past thirty-seven years, the CCRTA has shown a deep and caring concern for its members thru local, state and national issues such as health care, United Appeal, scholarships, cost of living and the security of its pension. At the present time, CCRTA has one hundred seventy-five members representing the following schools: Milford, Goshen, West Clermont, Williamsburg, Bethel Tate, Felicity Franklin, New Richmond, Batavia, Clermont Northeastern and the two Vocational Schools, Live Oaks and U. S. Grant.